Tired of scrubbing your floors? 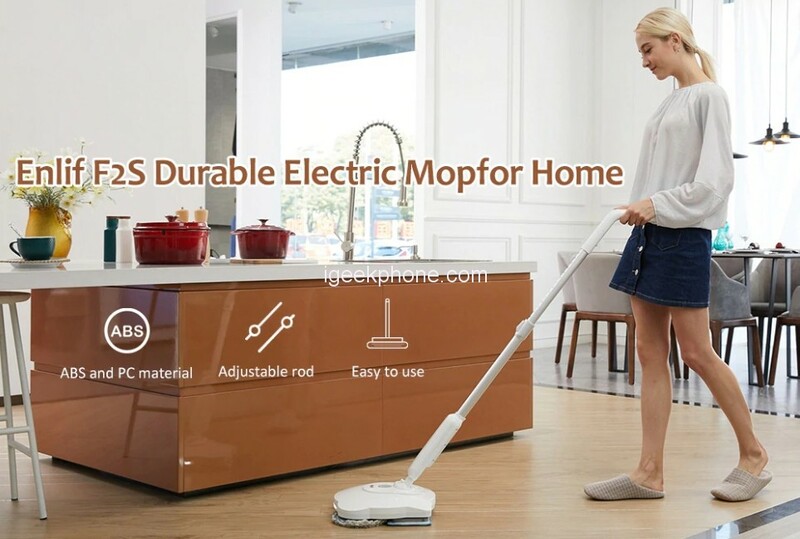 Let the Enlif F2S Durable Electric Mop do it for you! Safe for cleaning sealed, hard surface floors like tile, linoleum, vinyl flooring, and hardwood floors, this versatile machine comes with a set of cleaning pads for everyday cleaning and scrubby pads for tough, sticky messes. The host adopts a combination of round and square design to make up for the defects of the square and or wound structure. Round tailored rags with terry fabrics around could effectively sweep duct by electrostatic principle, Round-tailored rag on the behind wipe again. Enlif F2S Durable Electric Mop Suitable for a variety of different housing structures, no dead corners Double-row and Double Speed Strong Cleaning – The coordinated operation of double-row electronic runner give impetus to the cleaning robot while working. Unlike other double-row electric mops on the market which rotating outwardly or up and down, our double rows mop rotate inwardly in. The garbage is sucked and concentrated in the middle of the mop, leaving no stains or dust on the floor. 180r/min and 220r/min two high-speed cleaning–300?/15 min, say goodbye to the troubles that traditional mops need. Power spin pads reduce cleaning effort while giving you a hard-and-knees clean. Enlif F2S Durable Electric Mop is also equipped with the on-demand spray that allows you to dispense just the right amount of Multi-Surface solution onto your floors. In addition, swivel steering makes it easy to maneuver around and under furniture. 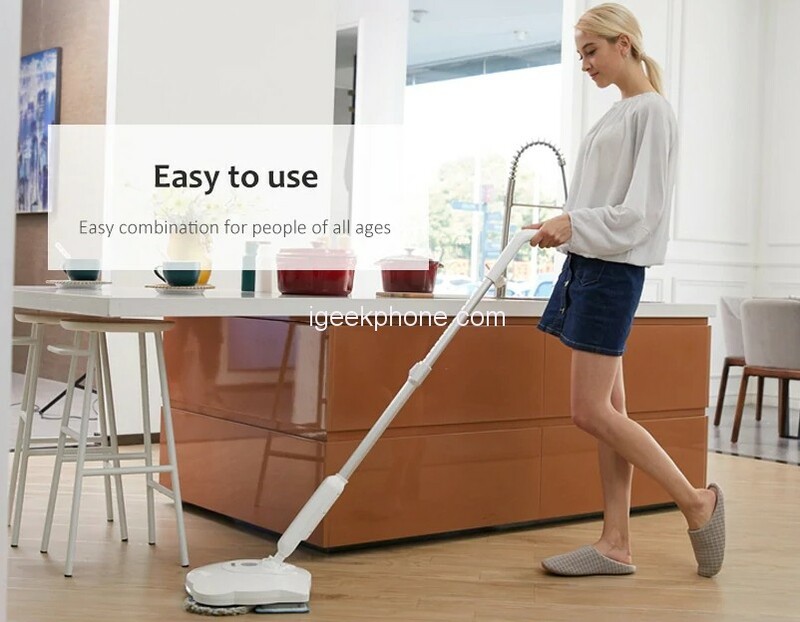 ENLiF electric mop has a 400ml water tank, the nozzle sprayed with fan-shaped water mist can wet the ground eventually, dragged and dry, no water stains. Sprayed distance is about 10cm, not easy to splash on the furniture. Adjustable Height and Angle – 95-133cm adjustable telescopic rod and 85°pitching angle, ergonomic aluminum alloy handle can swivel 180°that is easy for you to push it back and forth, convenient to get into cracks and crevices for a complete clean; no need to kneel or bend; cordless design makes tripping over cords becomes past.